To help you with your search, browse the 1 review below for memory care facilities in Jefferson County. On average, consumers rate memory care in Jefferson County 5.0 out of 5 stars. Located in Southern Illinois, Jefferson County has a population of 38,827, more than 16 percent of whom are seniors aged 65 or older. Some of these seniors may be among the 220,000 Illinois residents who are living with Alzheimer’s disease or other types of dementia. By the year 2025, this number is expected to grow to 260,000, making the need for more memory care facilities in the area great. Jefferson County is currently home to two memory care facilities to support seniors with cognitive impairments. Assisted Living Facilities (ALFs), as they’re called in Illinois, are licensed and regulated by the Illinois Department of Health. The cost of living in Jefferson County is lower than the U.S. national average. On a scale where 100 represents the American median, Jefferson County ranks 78.8. Seniors and their families may find that the lower than average housing and transportation costs may help offset the higher grocery and healthcare expenses. Crime rates in Jefferson County are moderately high. On a scale where 100 represents areas of high crime, Jefferson County ranks 45.4 for violent crime and 42.2 for property crime compared to the national averages of 31.1 and 38.1, respectively. Seniors and their families who are concerned about the crime rates in Jefferson County may prefer to look for memory care facilities in one of the smaller towns in Illinois. Seniors in Illinois may have more money to put toward their memory care budgets. The state of Illinois does not levy taxes on social security income, pensions, or retirement savings account income, making it tax-friendly for seniors and retirees. Residents of Jefferson County enjoy warm summers and frigid winters. July highs hit the high 80s, while the January lows dip down to the low 20s. The area receives 33 inches of rainfall annually compared to the national average of 39, and 11 inches of snow compared to the national average of 26. Seniors living in memory care facilities in Jefferson County may be limited to indoor activities for much of the year. Memory Care costs in Jefferson County start around $0 per month on average, while the nationwide average cost of memory care is $4,798 per month. To see a list of free memory care resources in Jefferson County, please visit our Assisted Living in Illinois page. 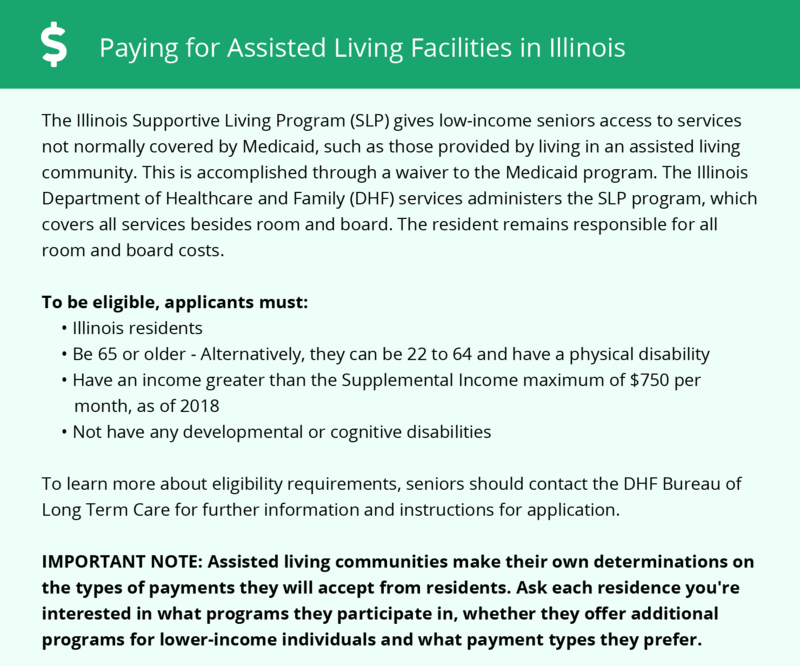 Jefferson County-area assisted living communities must adhere to the comprehensive set of state laws and regulations that all assisted living communities in Illinois are required to follow. Visit our Memory Care in Illinois page for more information about these laws.